Skyfall is the twenty-third Bond film and marks the 50th Anniversary of the Bond franchise. To mark this milestone, the filmmakers tried to showcase a modern Bond while also weaving together classic elements from past films. To their credit, they pretty much succeed. The story is seemingly routine, yet it adds some interesting elements into the mix. A super villian, Silva (played by a deliciously evil Javier Bardem), is targeting MI6 – hacking into their files, blowing up their building, and seeking to kill the head of the agency, M (Judi Dench). Bond resurfaces from an apparent death to save the day. On the surface it seems like a standard Bond film, but what sets it a part is its emphasis on age and the changing of the times. Gone are the gadgets and girls with innuendo laden names. Bond seems to walk through the film a half step behind Silva. He seems almost lost, chasing someone he doesn’t quite understand. This is the first Bond film I can think of where Bond feels vulnerable. He’s out of shape, a rusty shot, and clearly suffering from a bit of mental trauma. 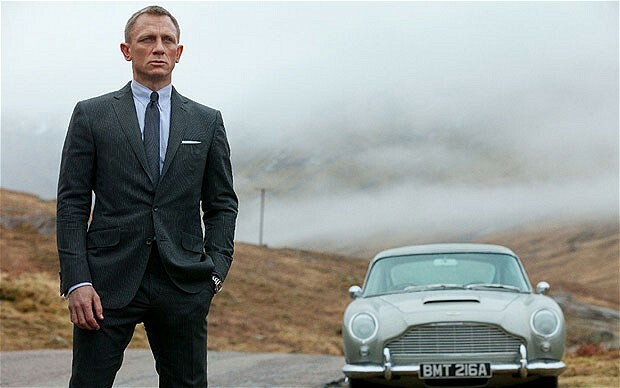 These are elements virtually missing from any other Bond film – and they make Skyfall that more interesting. This is, like many suggest, a post-Bourne Bond film. It’s gritty and rough around the edges. However, I would contend that Skyfall is just as much a post-Dark Knight film. There are shades of the Joker in Bardem’s Silva. Even Silva’s plans are very reminiscent of the Joker (not to spoil anything, but Silva is almost always one step ahead). Bond’s crumbling physical and mental state also echo Batman’s. This is not to say that Skyfall is a ripoff. It’s still a Bond film, filled with exotic locations and sweet cars. It’s just that Bond is far more grounded in reality. Director Sam Mendes and screenwriters Neal Purvis, Robert Wade, and John Logan have created a very modern Bond film, while also perfectly setting up a new generation of Bond characters that retain the essence of the 60s films. It’s a tricky feat, and there are a few implausible moments (as with any Bond film), but it’s handled rather adeptly. The last act of the movie is particularly bold for a Bond film – but it works and it’s great. And with the addition of cinematographer extraordinaire, Roger Deakins, it’s certainly the most beautifully looking Bond film ever put to screen (a sequence in a Shanghai hotel seemingly made entirely out of glass is particularly stunning). Is this a work of art that will sweep all the awards? No, it’s still a Bond film after all. But it’s certainly entertaining, and it’s definitely one of the better Bond films of the entire series. 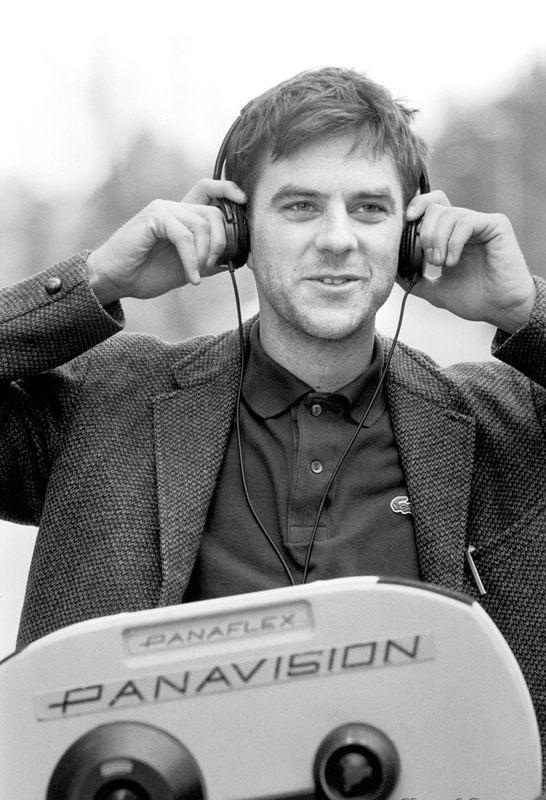 It’s rare these days that directors are able to retain complete control over a film with a massive budget. Sure, Chris Nolan had quite a lot of power over the recent Batman trilogy and Inception, but they were still studio friendly movies. Gone are the days when a 2001 or a Apocalypse Now would be given major funding – well, not quite gone. Every once and a while (and it’s getting rarer and rarer), a director will be given a lot of money to make a film where they exercise complete control over every detail – often times to its detriment. The results are often big, bloated, interesting, but ultimately flawed films. That’s not to say that these films shouldn’t be made. They absolutely should be made. In fact, more of them should be made. These opuses often provoke discussion, bring up interesting ideas or concepts, and almost always contain bravura filmmaking. They are showcases for directors flexing every filmmaking muscle they have. They try and throw everything but the kitchen sink at the screen, and the results can be mixed, but they are almost always fascinating. Sometimes they turn out to be genius, other times they are kind of weak, but what they aren’t are cynical, cash-grabbing movies that are typical of big budget films. And that is why more of them should be made. But, given the box office returns on these type of films, it’s likely they’ll continue to become increasingly rare. For your consideration, here are a few modern examples of these big, beautiful, smart messes. Magnolia (1999) – P.T. Anderson’s second major effort, with an emphasis on the major. Running at a daunting 188 minutes, Magnolia is a massive sprawling film that deals with multiple story lines. The film is more of an opera than a movie. Parts of it are truly exhilarating and some of the best stuff Anderson’s ever put on screen. Other parts, however, can be frustrating. The singing scene is particularly egregious to me. But you can’t deny Anderson’s sheer audacity (raining frogs?!). Definitely not PTA’s best film, but a must see for any film fan. The Fountain (2006) – Six years after he broke through with Requiem For a Dream, Darren Aronofsky returned with The Fountain, a gorgeous mess of a movie. The film jumps between three timelines, with Hugh Jackman and Rachel Weisz playing different but similar characters in each. The film is cryptic and not easy to follow, but it’s still fascinating. The special effects Aronofsky uses for the space sequences are worth the watch alone. Even if the story doesn’t quite make sense, the film is simply marvelous to look at. The Tree of Life (2011) – Terrance Malick’s beautiful and poetic film has been equally praised and dismissed. Yes, it is indulgent and pretentious, but the sheer scope of the film (starting from the beginning of time) is breathtaking. The scenes involving Brad Pitt, Jessica Chastain, and their family are beautifully evocative, and some of the best stuff Malick has ever put on screen. Sean Penn looks a little lost, and the dinosaurs are a little unnecessary, but you’d be hard pressed to find anything this audacious in scope since Kubrick’s 2001. These films might not be perfect, but they are important. They are important because they attempt things outside the norm. They swing for the fences. Sometimes they swing and miss, but they’re swinging nonetheless. That’s a lot more than can be said of most filmmakers these days. And they deserve our support for it. It’s early November, which means we’re right in the middle of awards season. This is the time of the year that studios trot out their ‘prestige’ pictures and little indies that could in hopes that the all-powerful Academy notices, and bestows them with a nomination or two. Whether or not the Oscars are artistically valid is debatable, but no one can deny that they are still the most important awards in the film industry. The Academy tends to nominate, and award, similar films every year – with a few exceptions. Here I will do my best to predict, solely based on trailers and buzz, which films have the best chance to grab a nomination and win. Keep in mind that there is a minimum of five best picture nominations, and at max ten. Later in the year, I’ll update the list and get a little more specific (hopefully having seen most of the films by that point). Argo– This seems like the film to beat this year. Ben Affleck looks like he’s transforming into quite the talented director. Reviews have been almost universally positive, and this is the perfect type of film for the Academy. They love historical dramas. Expect a best picture nomination (and probably a win). Also expect Ben Affleck to be up for best director and actor. It’ll also probably nab a best adapted screenplay nod, as well as a few nominations for supporting actors (Goodman and Arkin are good bets). There also could be a few technical nominations as well (editing, cinematography). Lincoln– This is pure Oscar bait. Legendary director? Check. Legendary Actor? Check. Legendary historical figure? Check. Reviews aren’t overwhelmingly positive, but that didn’t stop them from nominating War Horse last year. This will definitely be in the best picture category, and Spielberg will most likely get a directing nomination. Daniel Day-Lewis will also be a lock for a lead actor nomination, but don’t expect him to win. Also expect a lot of technical nominations. Silver Linings Playbook – David O. Russell’s new film is about mentally unstable people falling in love. This will definitely be nominated for best picture and director. Also expect Bradley Cooper and Jennifer Lawrence to get lead acting nominations (Lawrence might win). Robert DeNiro also has a shot at a supporting actor nomination. If he does get nominated, the Academy might give him the award for sentimental reasons. This movie also has a good shot at winning the best adapted screenplay award – especially if Argo cleans up all the other major awards. Les Misérables – Tom Hooper won big two years ago for The King’s Speech. He’s back here with an adaptation of the classic Les Misérables. The Academy loves musicals, and with Hooper directing and Hugh Jackman and Russell Crowe starring, this is a lock for a best picture nomination as well as songs and costume nominations. Life of Pi– This is also pretty good Oscar bait. The Academy loves Ang Lee, and it loves epics based on popular books. This will for sure get a best picture nomination and perhaps a best directing nod. However, don’t expect it to win much beyond technical awards. There’s a good chance this will win for cinematography. The Master – P.T. Anderson’s epic tale of cults and wayward souls might have been a little too out there for mainstream audiences, which means the Academy may ignore it as well. If there are more than five best picture nominations, expect this to be nominated. There’s also an outside chance of Anderson grabbing a directing nomination – but probably not a win. This film is just too difficult for the Academy to award it with best picture or director, and that’s a shame. The best chances it has are in the acting categories. Joaquin Phoenix and Phillip Seymour Hoffman give amazing performances worthy of recognition. Zero Dark Thirty– Kathryn Bigelow returns with this thriller about the hunt for Osama Bin Laden. The subject matter is weighty enough, and it’s got pedigree in the form of Bigelow and Jessica Chastain, but it still has an outside chance in terms of nominations. Flight– Robert Zemeckis looks to be swinging for the fences with this one, but he could be trying a bit too hard. Denzel Washington might grab a nomination, but the film might be a tad too melodramatic and hokey to get anything else (or maybe not). Django Unchained– Tarantino’s latest is sure to be a crowd pleaser, but don’t expect it to win much. It might sneak into the best picture category. And Leonardo DiCaprio looks to be giving the sort of cartoon-ish, unconventional performance, that the Academy might recognize – but, again, don’t expect a win. Hitchcock– This is the perfect type of navel gazing, biopic that the Academy loves. However, there’s not a whole lot of buzz surrounding it, so that might not be a good sign. Anthony Hopkins will probably get an acting nomination, though – the Academy loves impersonations of old movie icons. Amour – Michael Haneke’s new film about an elderly couple’s relationship won the Palm D’Or at Cannes this year. The reviews have been very strong as well. It would be nice to see this squeak into the best film category, but it wouldn’t win. This does have a good shot at winning best foreign film, though. Cloud Atlas – Like Life of Pi, this has the appearance of a classic Oscar bait epic. However, reviews have been very mixed, which doesn’t bode well for it’s chances. Expect it to pick up some technical awards. Beasts of the Southern Wild– This indie film was showered in praise at Sundance earlier this year, which could translate into nominations. It would be great to see it sneak into the best picture category (again, it won’t win). The Academy would be going out on a bit of limb to nominate this, however. Newcomer Quvenzhané Wallis may get a best actress nomination, though. Moonrise Kingdom– Wes Anderson’s latest may have been released too early in the year for the Academy to notice (which is a shame). However, there is a possible chance of it nabbing a screenwriting nomination, and a very outside chance of squeaking into the best picture category. Anna Karenina -This looks pretty Oscar bait-y. The Academy certainly loves period pictures and classic literature. However, it does has the potential to flop. Don’t expect it to win anything (beyond, perhaps, costume design). The Hobbit: An Unexpected Journey– This will surely be a smash hit at the box office. 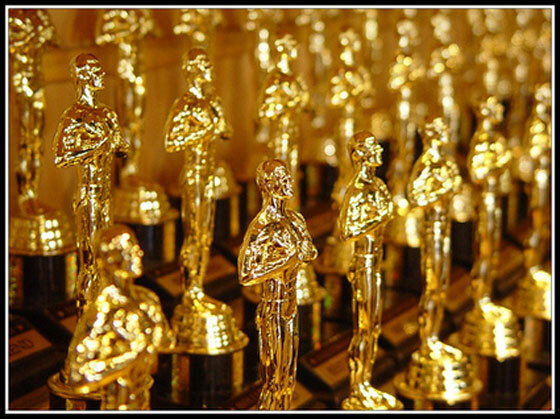 Expect the Academy to nominate it (maybe in best picture) just to get more people to watch the awards ceremony. It will definitely be up for, and win, a bunch of technical awards.